Hi John (@laphroaigjohn), thanks so much for agreeing to this interview, as a very special distillery to Stewart and I, this interview is a particular honour for us. So could you tell me a little bit more about yourself? How and when did you start your whisky working journey? I started on the 14th November 1994 and went into the warehouse squad at Laphroaig (@laphroaigwhisky), where my role was stencilling casks. 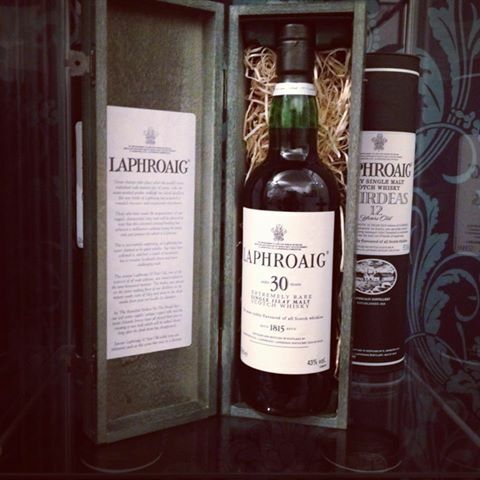 How important is it to be a part of the long history of Laphroaig? It’s amazing to be able to say that you have worked at such a well renowned distillery, and to know that you are part of shaping their future and continued success. How much of a bearing on your role do you feel being a born and bred Ileach has, if any? It has a big part, as I feel that I know how the local community works and what the expectations are. As we are the biggest brand on the island we need to set the right tone. Not routine that’s for sure! !…There really is no such thing as a typical day and the variety is the best bit about the job. The only thing I do every day is take a walk round the distillery first thing and talk to everyone working there. For me it’s meeting the people who love what we do. The tourists, the FOL’s (Friends of Laphroaig) and the staff who work here and want the best for their brand. The amount of legislation required to complete my role. There is so much red tape it can tie you up in knots! At the beginning of the year we are in the review phase and look to complete plans and get all programs for the year set up and that includes all deliveries, people management, site visit’s and maintenance plans. Lots of important legislative commitments. I love the Friends of Laphroaig (FoL) and I’m a proud “Friend” myself, how did this concept come about and how much of your role is taken up running the program and could you tell us a little more about it? This was created the same year I joined Laphroaig and it has amazingly grown into a phenomenon that lots of other distilleries have tried to copy, without the same success. The scheme lets the consumer really connect with the brand and see that it is a real living and breathing thing and there are benefits also with events and bottling’s available to FoL’s that nobody else can get. As such a historic and well known distillery you must get thousands of visitors each year, is everybody there to visit their plots? What’s the strangest thing you’ve heard of people doing with their plots? Most people are there to visit their square foot of land….and have a bit of fun in doing so!! (Laphroaig provide both wellies and flags of various countries for people to visit their land) We have had all sorts happen on the plots too, we have gone from ashes spread and caskets buried beneath, to weddings and some people just sleeping on them! Are there any funny or memorable distillery moments you can share with us? One of the best and reasonably recent events is when Prince Charles visited the site, we are the only single malt with a royal warrant and that brings a lot of pride and attention to us on Islay. 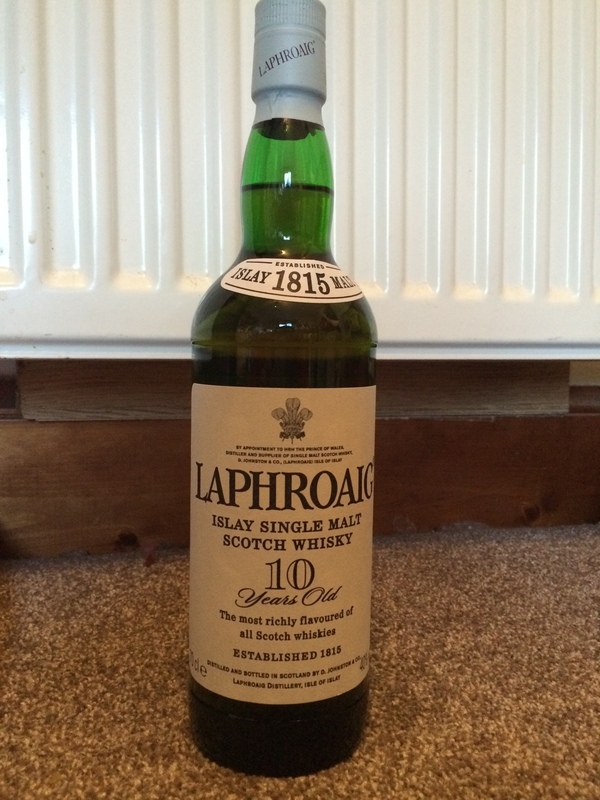 This raises not only the profile of Laphroaig but of Islay and whisky as a whole. You are responsible for promoting Laphroaig around the world and as such do you have to travel much as part of your role? Not as much as everybody thinks I do! !… I do some travelling in the UK, USA and Germany though which are our top three markets by sales figures. I will do one of the events like Laphroaig Live, which will broadcast from some amazing locations too. I am probably away from the site about five weeks of the year with marketing duties. I have been very lucky to visit some amazing places with this brand. Starting the single cask bottling’s in 2003 and these have now become Cairdeas bottling’s for the 600,000 friends of Laphroaig every year. What do you think will be the next “big thing” in the whisky industry? At Laphroaig we try to get ahead of the trends and try to achieve the next “big thing” before the industry notices, although we are a very traditional brand also. When we introduced quarter cask as one of the first non-aged statement (NAS) single malts we were seen to be moving the expectations slightly, it wasn’t strictly “traditional”. However they now seem to be the common thing recently as the industry tries to cope with the demand of both product and barrels, just the same as we did and now they have become an integral part of our core range. The honour and the history of such a great brand and the people behind it and everything that brings with it, including the historical owners, previous and current stillmen, maltmen and warehousemen etc too. Probably into more of a community orientated and industry related role!! Not sure here, as I have a very wide scope already. What will you be up to over the coming year? Hopefully lots of changes and improvements are to come in 2014. We have ambitious local plans to meet for the ever increasing demands on capacity and to travel around a wee bit speaking to the people who drink Laphroaig. How would you sum up the style of Laphroaig? It’s all about the whisky, rich character, it has personality, no hard sell, subtle discovery, a sense of community, a global brand, its timeless, it’s authentic and real, it has lots of heritage, great integrity and understated confidence. More of the same… we are doing very well and we need to continue to build momentum behind our great brand, we don’t want to just rest on our laurels or take our supporters for granted. 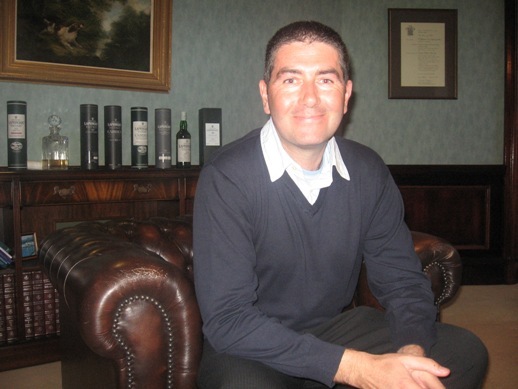 That concludes our interview John, thank you so much for your time, here’s hoping we can get a chance to share a dram in the future…..
Great interview. I can’t believe what some people have done on their square foot of FoL land. I filled out the first one I got to join up to FoL and then forgot about it. The Laphroaig 10 Year Old also has a special place in my heart as I credit it as being the whisky that got me into whisky. Nice read, John sounds like a top bloke.